If you walk though Helsinki in the morning you won’t have to worry about finding something to read for the bus or train. At almost every corner there is someone standing that hands you out one of Helsinki’s free newspapers. Quite handy. 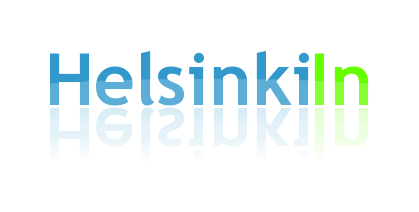 You don’t have to worry about being informed about what’s going on in the Finland and the world. But there is of course one big problem. Free newspapers create a lot of paper waste. And people are not eager to carry the paper home with them and recycle them properly. They rather through them into the normal trash or just leave them on their seats in the bus or the metro. Fortunately a solution for that problem was found. 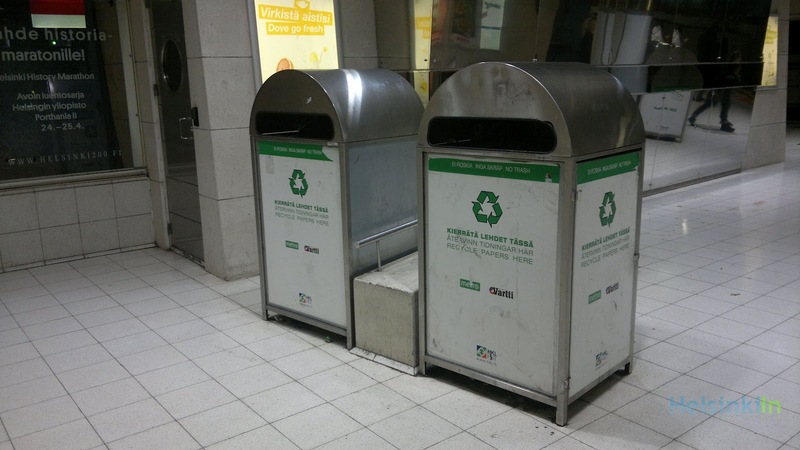 At metro stations in Helsinki you can find huge paper waste boxes that are there just for newspapers. That’s a great idea and a good way to recycle and save the environment. So next time you want to get rid of your read through newspaper just keep your eyes open to one of those silver boxes. The next one won’t be far away.